The original Prototype is not a game that immediately springs to mind when people think of the “best of this generation”. While it was certainly an enjoyable ride, full of super-powered violence and fun, it paled in comparison to other games that gave players immeasurable freedom in terms of open world gameplay. I’m thinking of games like Saint’s Row 2 or Grand Theft Auto IV, both the current reigning gold medal winners of this generation’s open world Olympics. The difference is that, while many game developers make a stab at the open world genre, more often than not, they fail miserably. Plodding adventures like Mercenaries 2 and the Just Cause series come to mind, games with some shining moments, but more often than not, complete shovelware. I couldn’t be happier that Prototype 2 not only delivers a solid narrative, explosive gameplay (literally and figuratively) and a variety of side missions and upgrades, but also adds a soundtrack (composed by Scott R. Morgan) that seems inspired by The Dark Knight and Inception. Powerful tones to accompany the mayhem on screen are always a nice touch. 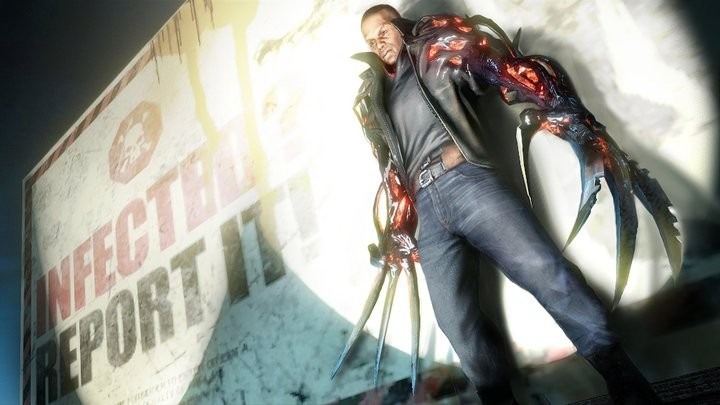 Prototype 2 could have simply been more of the adventures of Alex Mercer, the first game’s anti-hero, as he attempts to further his own creepy agenda in a New York City on the verge of complete ruin. Instead, Radical Entertainment had the balls to replace Mercer as the playable character, giving us instead James Heller (voiced by Cornell Womack, who you may, remember as “n-bomb” dropping Richard on Rescue Me), a sergeant looking to return home to his family after serving a tour in Iraq. What he finds upon getting back to New York is a blood-splattered apartment, with his wife and daughter declared dead at the hands of the Infected. Enlisting with Blackwatch (the shady government organization who developed the virus in the first place), Heller sets out for revenge, but ends up finding so much more. If you played the first Prototype, then great. If not, there’s an incredibly helpful (for those of us foggy on the events of the original game) “Previously on Prototype”-like feature right on the main menu. After learning more about the virus, Alex Mercer and the events of the first game, you’re more than ready to dive right into Prototype 2’s great story and unparalleled insanity. I’ve never been the type to try to “break” an open world game. It just doesn’t appeal to me. I drove around Stillwater and Steelport in the Saint’s Row games, a good little thug, my hos and gang members in tow, doing missions, buying clothes, robbing businesses, etc. As Niko Bellic, I ran around Liberty City cursing and shooting my way to the American dream. Prototype 2 affords the player with so many options for upgrading your powers (claws, shields) and passive abilities (health bar, sprint speed) the game practically begs for your to try something completely out of the box and insane. For the first time ever, I tried to “break” the amazing open world Radical created for me. It did not happen. Never once did I notice a moment of slowdown, tearing, or any graphical breakup (mind you, I did rip the game to my 360 HD), nor did the world of the game react in an unrealistic or strange fashion. No characters stood idly by as Heller catapulted himself into the air like the Hulk in The Avengers. They panicked, they ran away, usually screaming. Being given the keys to the kingdom early on felt like Radical’s way of saying “have fun”. Never once did I find myself bored with Prototype 2. Every story mission, every stealth-consume, every time Heller wore the face and body of another person, was executed perfectly. I found myself smiling and chuckling at Heller’s quips regarding how insane the situation is in New York City, as well as absolutely loathing Alex Mercer, who serves as the primary antagonist this time around. The new powers (including a Bio-Bomb that nukes an NPC from within, creating a web of virus-like flesh) are fresh and feel like they have weight to them. Using Heller’s tendrils to throw yellow cabs and park benches at an enemy and watching as they explode in a cloud of meat and blood never got old. There’s a great cinematic camera moment that accompanies the use of one of Heller’s incredible powers (or military weapons). It adds to the brutal quality of his many ways to kill folks, and is something I was always in awe of. For example, leaping across thirty or forty feet of ground to pounce on a fleeing soldier, hands morphed into horrific claws is a blast. Navigating an open world game will never be the same for me again. Heller uses his powers to glide, jump incredibly high and far, as well as making use of some incredible parkour-inspired moves at street level. 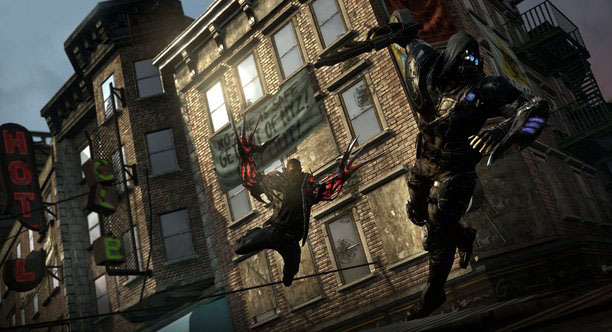 It’s fun to carjack someone in Saint’s Row or Grand Theft Auto, but it’s infinitely more fun to glide across the New York City skyline in Prototype 2. I really don’t think enough could be said about the risk Radical took in making Alex Mercer the villain this time around. 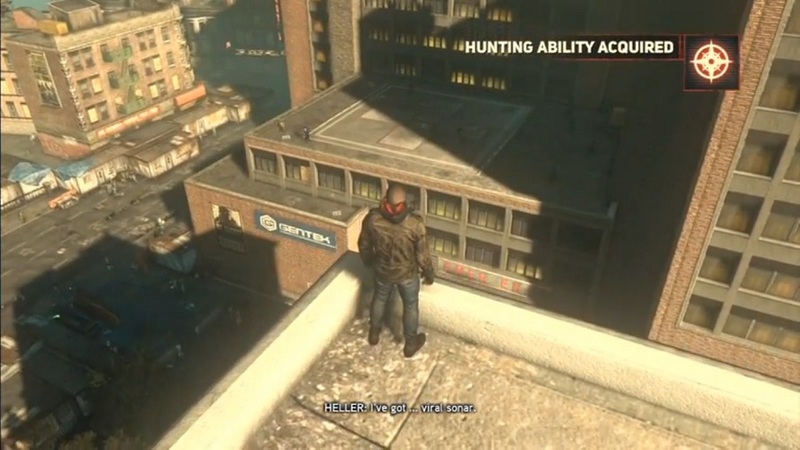 We live in a society that rewards bad behavior, so it would’ve been easy to keep you playing as the nebbish douche throughout Prototype 2 as he tries to unleash his virus upon the entire world. The standard “military versus monsters” adventure we’ve gotten a million times in games and film. That said, we’re given a story that goes in plenty of unexpected directions, presents the hero with some truly whacked situations, and most importantly, leads to an epic showdown between two super-powered warriors atop a helipad as New York City tears itself apart around them. James Heller is probably my favorite video game hero of 2012 (I have not played Max Payne 3, it’s sitting in the Collector’s Edition in my Man-Cave), and I love that he’s African-American. We don’t often get heroes that vary from the bald, white space marine variation, so, having a character that is not only brilliantly written and performed, but also incredibly powerful and identifiable is a treat. Replacing the lead of other video games got me thinking about how brilliant a game where you play as Toad hunting down the villainous Mario brothers across the Mushroom Kingdom would be. Of course, the attachment to Mercer isn’t quite there, and even if you did like the guy in the first game, he’s such a punk this time around, all you ever want to do is ensure his demise. While many games these days are certainly gorgeous, Prototype 2 is no different. I always complain about how New York City looks on-screen, however; I’m very pleased with its representation this time around. The city is broken into “Zones”, with the game opening in the Yellow Zone (some Infected and viral activity), then moving to the Green Zone (where Matt Damon and Greg Kinnear live), until finally ending up in the Red Zone (which has that recently Cloverfield-ed look to it, complete with skyscrapers bisected, with the upper portions leaning into the neighboring building). New York truly looks like New York, in the same way that Liberty City looked like New York, as well. Representations of Central Park, Madison Square Garden and Chinatown are all relatively faithful. I say “relatively” because there hasn’t been a monumentally-horrific viral outbreak in NYC in my years on this planet, so, I have no frame of reference. There’s some 9/11 imagery, as well, with buildings in ruin, portions of floors annihilated by defeated Hydras (imagine the sand worms from Beetlejuice only five times larger and throwing chunks of street at you) are all over the place, and Blackwatch patrols the city with an iron fist. It reminded me quite a bit of traveling into Manhattan in those post-9/11 months and seeing what I imagine were entire platoons of soldiers carrying all matter of heavy weaponry around the city. The idea is that art imitates life, right? It’s easy to see where Radical could have gotten some of their concepts from. 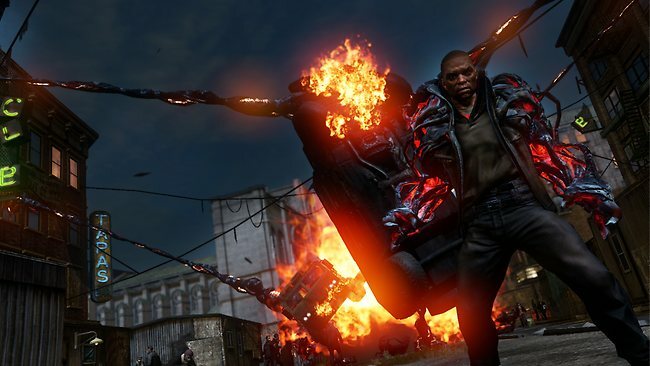 As is usually the kiss of death with open world games, unless you’re an Achievement/Trophy whore, you probably won’t be revisiting Prototype 2’s NYZ any time soon. The game, however; is lengthy and provides all forms of side missions and activities for you to enjoy. Upon completion, you can roam around the city, taking care of these side missions, exploring, etc. In the end, unless you want to play on a harder difficulty (put it on the hardest setting and tell me how you regret fighting Mercer later), going through the game once is enough. 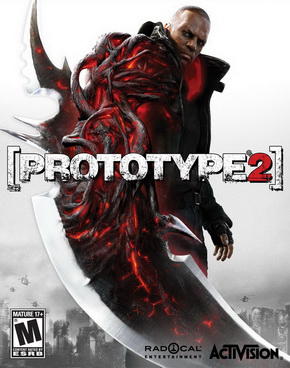 Prototype 2 is, without a doubt, my favorite Triple-A title of 2012 thus far. It’s got all the carnage candy you could possibly want, with plenty more to go around, as well as a great lead character who can stand beside Jimmy Hopkins and John Marston as one of the best heroes in an open world title, of any generation. The story features multiple twists and turns, as well as a city that just begs to be explored. Passing on Prototype 2 would be a very poor decision.